What good is a security camera for your home if you can’t watch it from anywhere? Sure, you might be able to identify that person who stole the package from your front stoop. But they’re probably long gone by the time you watch the feed. If you want to actively protect your home, you need technology that lets you watch all the time. If you can watch all the time, you are more likely to catch the person who invaded your home or stole from you. And with 2,000,000 home invasions each year in the United States, you want to be the one to be on the look out. And there are smart security cameras that connect to your phone. Let’s take a look and see what they feature. 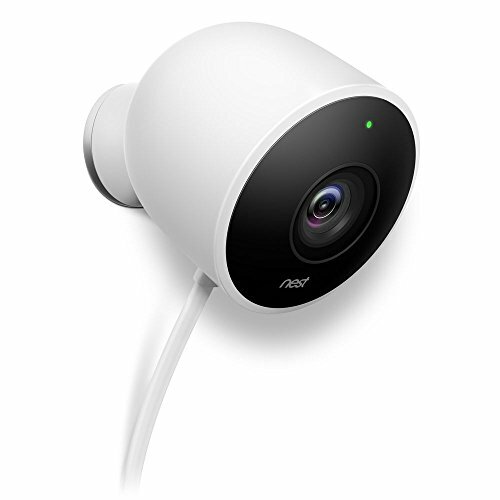 Coming up top on our list of the best security cameras is Nest. Nest is one of the leading smart home companies in the world. They make smart thermostats, smart smoke alarms, smart light bulbs. It’s the internet of things. And it’s taking over our homes and businesses. It’s also helping us watch our homes. The Nest Outdoor Security camera is a live video 24/7 camera. It gives you a 130-degree viewing angle and features an all glass lens. The video is 1080p HD. And it can send you alerts and snapshots on your phone. It’s weatherproof so you don’t have to worry about rain or wind. It features a built-in microphone and speaker. Ever imagine you could yell at an intruder from across the world? Now you can. The nest security app lets you talk through the camera. You could even have fun spooking your neighbor if you like. Just upload the video to YouTube so we can watch. Installation is easy with a magnetic surface feature. And you can have everything continuously uploaded to the cloud. This feature is called Nest Aware. And it’s a free trial that comes with your Nest. This isn’t just a camera. It’s a whole system. You can get up to six cameras and it includes a siren. And unlike the Nest, it’s wire free. Which means that you can put the cameras anywhere. The only downside to that is that if you forget to replace the batteries, you lose sight of your house. But the batteries are easy to recharge and they recharge quickly. And it comes with extra rechargeable batteries. Like the Nest, you can talk through the cameras and listen. And it offers a cloud solution as well. 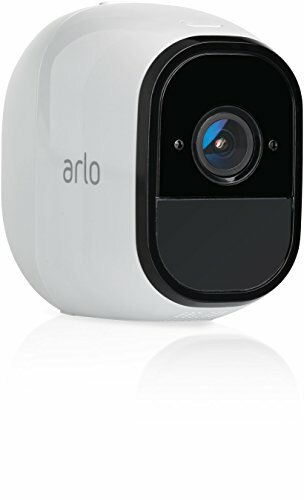 The trial for the Arlo cloud solution is seven days long. It too is weatherproof, so you don’t have to worry about placing your security cameras outside. And it wouldn’t be on this list if you couldn’t use your phone with the system. You can get live view and record from anywhere in the world. Unless you don’t have cell service. Then you should probably get a satellite phone. The smart siren that comes with it has a 100-decibel alarm. And it can be controlled remotely. So, if your kids decide to have a party while you’re on vacation, you can make it impossible for them to enjoy it. 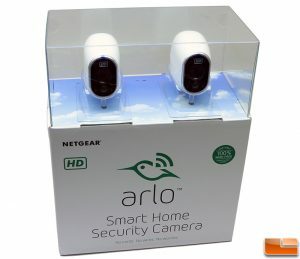 For even more details, check out our full Arlo Home Security System review. 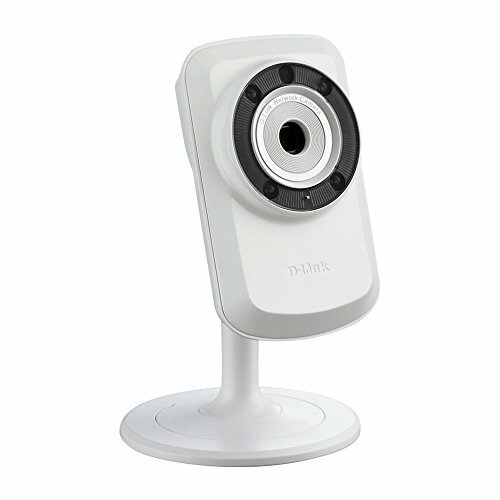 The D-Link has a fun little feature that you might find useful. The infrared illumination on it can see up to five meters. So, even at night, you can monitor your home. And like the Nest, it will give you motion detection alerts on your phone. 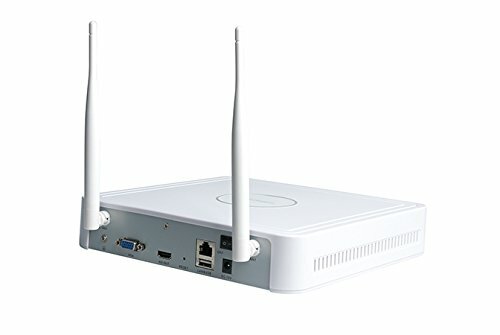 It connects effortlessly to your wi-fi system. And you can be assured it will do this well as D-Link primarily makes wi-fi systems. You can monitor from any mobile device. This includes iPhone, iPad, Android or Windows phone. It doesn’t have a two-way microphone or speaker. And it comes with no cloud storage capability. So this is a see-only device. You can’t even record locally on an SD card. Another wire free system, Blink uses little boxes with cameras in the front for an unobtrusive system. You can place these anywhere in your home and disguise them however you like. 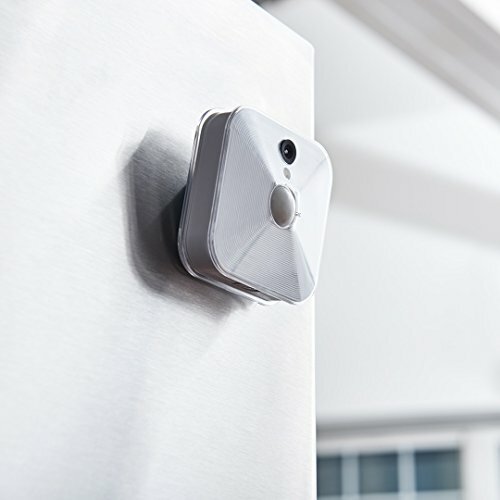 It includes motion detection and mobile alerts that feature a snapshot of what it captures. Please note, some of the cameras from Blink are not weather proof, so some of them will be indoor systems only. Again, it’s a live view system, so you can tune in any time on your android or iPhone. Sorry, it doesn’t include Windows phone capability. It does include cloud storage of up to two hours of footage. But this isn’t expandable. It uses lithium metal batteries that you have to replace. So the recharging system on this is inferior to the Arlo. This little droid-like camera will sit anywhere you want. It’s only six inches tall, and a little over a pound in weight. It includes a super wide angle of 75 degrees and will give you wonderful night vision up to 26 feet. It does have a built-in speaker and microphone for remote voice and hearing. And it does come with cloud storage for 30 days. But you don’t need the cloud storage as it features local SD storage. But if you opt for cloud storage, you are guaranteeing no footage is lost to fire or other kinds of damage. It’s completely wireless so you can place it anywhere in the home. 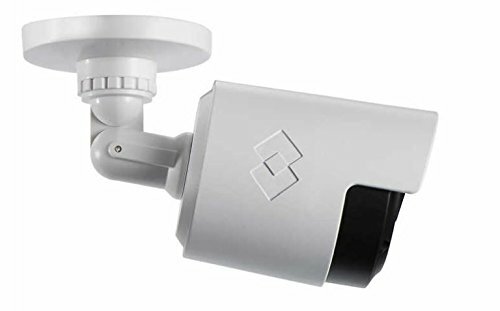 You can purchase a weatherproof version, so these security cameras can become outdoor cameras if you need. It also has onboard software that corrects dark faces at night or even during the day. No other camera we reviewed does this. If you want to identify that caper under their dark hood, you can totally do that with this camera. 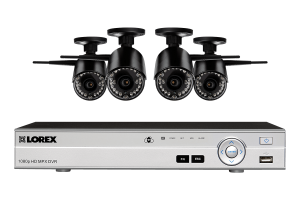 If you’re looking for the best home security solution that money can buy, we strongly suggest checking out Lorex home security solutions. They have a serious reputation for top-quality, crystal-clear images that can be accessed remotely, as well as stored on the included 2 TB hard drive. The best part about Lorex security cameras is that they can be installed with just a few simple tools. Customer service is excellent, should you run into any problems during installation. See this article for all the details: Lorex Security Camera Pros and Cons. Can Home Security Cameras be Hacked? 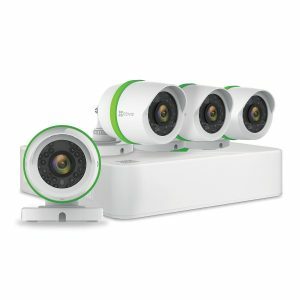 A common question that people have is whether or not home security systems like these ones we’ve just reviewed can be hacked. In general, just about anything that connects via the Internet can be hacked by someone with enough time, skill and motivation. However, it’s not that easy to do, and most people would have no reason to do this! When it comes to securing your home, you can’t be too safe. Any one of these security cameras will do a moderate to excellent job securing you home from invasion. There’s a security camera for just about any budget, so have a look around. You’re sure to find one that works for you. Have a really tight budget, like under $20? Then you’ll need to check out fake security cameras and our tips about where to place them. A bit of deterrence can go a long way to keeping your home safe. What do you look for in a home or business security camera system? 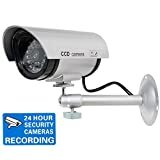 Do you know of better security cameras than these? Let us know in the comments below. I love the idea of being able to keep an eye on things at home when I’m at work. My neighbors say that my dogs bark all the time, but I’m not so sure. Hopefully this will help me figure out what the real deal is.